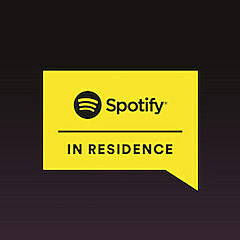 The second episode of BrooklynVegan’s “In Residence” show on Spotify is now live. It’s part two of our 2015 wrap-up where BV editors Bill Pearis, Andrew Sacher and site founder Dave play more of their favorite songs of the year, and discuss such topics as favorite live bands, overused words in band names, comebacks, and what we’re looking forward to in 2016. Pull up the playlist HERE and make sure to hit “follow” to add it to your Spotify collection, and if you missed it, part one is over HERE. Like all “Spotify in Residence” shows, you need to be a Spotify subscriber to hear the host segments, but anyone can listen to the full playlist of all songs. Follow that link to subscribe and stay tuned for another new episode in January.